Carlo and Jori Pardo c/o Mercy House AH! By giving a tax-deductible donation to AmericanHelper, you are making a difference in the lives of many citizens of the Philippines. Financial gifts go to providing the basic needs of food, clothing, shelter, and education. When delivered, they come with a message of salvation in Jesus Christ. With a new hope in their new life, children can grow to be adults rising above their current situation in poverty. 95% of your contribution is applied to Programs. 5% goes towards Administration. Please contact us through the ContactUs form in order to setup Direct Bank Transfer between our two banks. We prefer not to publish our detailed bank account information on our website for security reasons. Support Carlo and Jori Pardo in teaching English and the Bible in elementary schools along with community outreach. 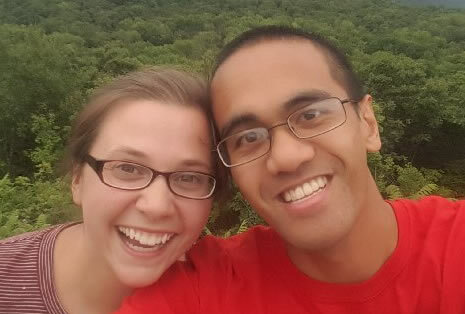 Carlo and Jori Pardo are an American couple who will be serving alongside The Mercy House of the Philippines. For years now, the Lord has been captivating their hearts for caring for orphans. Since November 2015, they felt the Lord was calling them to ministry specifically in the Philippines, and so they decided to visit different ministries in May and June 2016. After spending time with the children and staff at Mercy House, they both felt overwhelming peace that this is where God wants them to be. Part of their ministry will include teaching English and Bible in the local elementary schools, while a larger part will involve community outreach in the new barangay (village) that Mercy House moved to in April 2016.